‘Tis the season for giving – and some inevitable stressing. Parents and grandparents often struggle to find the perfect holiday gifts for the children in their lives. But, according to Wilfrid Laurier University experts on child development, play happens for children with or without that perfect toy. “Children will play with anything and their state of being is quite playful in the world,” says Sue Ferguson, a professor in Laurier's Youth and Children’s Studies program who studies childhood and capitalism. If that's the case, why is it that our society is so consumed with consuming toys? Throughout the 20th century, the idea that there was a “correct” developmental path to maturity began to gain traction in academia, as well as in parenting books and advice columns, says Laurier Sociology Professor Linda Quirke, who researches parenting and advice. During the 20th century, psychologists found solid evidence connecting play with emotional and cognitive development. More recently, research has shown that learning happens during play when a child is engaged, focused and enjoying their time. The connection between play and development became linked to an anxiety many parents held about their children’s futures. Parents, with a desire for their children to have the best tools to compete in the world, believed the more they facilitated play, the brighter the future their child may have. “By 1900, toymakers had adopted new mass marketing and advertising strategies to promote a vast array of manufactured toys, but also the message that play, with the requisite new playthings, was the legitimate occupation of childhood,” says History Professor Cynthia Comacchio, author of the soon-to-be-released book Ring Around the Maple: A Sociocultural History of Canadian Childhood. Educational toys came onto the scene not only as a tool for care providers to distract children, but also as something that would cultivate important developmental skills, a win-win for many busy parents. Scholars have also looked at how adults communicate their values through toys, including how gender is constructed and communicated through toys. Research shows that some parents invest a lot of effort to promote masculinity, but may take a more relaxed approach when it comes to fostering a feminine gender identity in their daughters. Comacchio says that, historically, play has been used as prep work for adulthood and responsibilities and was an important aspect of childhood among Indigenous cultures and early Euro-Canadian settlers. The toy industry has changed dramatically in Canada during the past century in terms of manufacturing, marketing, distribution and consumer behaviour. 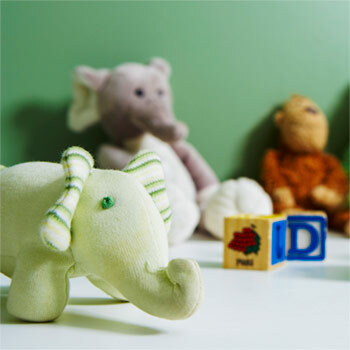 At one time, toys weren’t so readily available, says Laurier Youth and Children’s Studies Instructor Christine Lei. In fact, they were quite scarce and the toys that did exist were largely made of natural materials and handcrafted. After the Second World War, says Lei, plastic materials and synthetic paints and dyes drove down the price of toys and increased the variety and number of toys available. Today, brick and mortar toy businesses are struggling to find their role in the digital age as online toy sales increase. Marketers gain more and more avenues to market to children through television, online games and social media. The holidays used to be a big time for toys, too, but over the past 30 years there has been a "deseasonalization" of the toy industry, says Ferguson. “It used to be people only bought toys for special occasions, but now we have what sociologist Beryl Langer calls the ‘commoditoy,’ which is a toy that’s not going to satisfy the desire alone, but will in fact create more desire because the child will want the accessories and line extensions associated with it,” says Ferguson. While the toy industry is bound to change again in the future, toys will always have a role to play in childhood. Parents will continue to use educational toys in the hope of developing productive and competitive children. They'll communicate their personal values and beliefs about gender identity through toys. And they’ll do all of that while navigating the influence of toy marketing on their children and themselves. Despite whatever change comes, Comacchio says one thing will remain the same.